Published in 2005, the Pearson Vineland Adaptive Behavior Scale (VABS) is an assessment tool utilized nationwide to identify various intellectual and developmental disabilities, including autism. 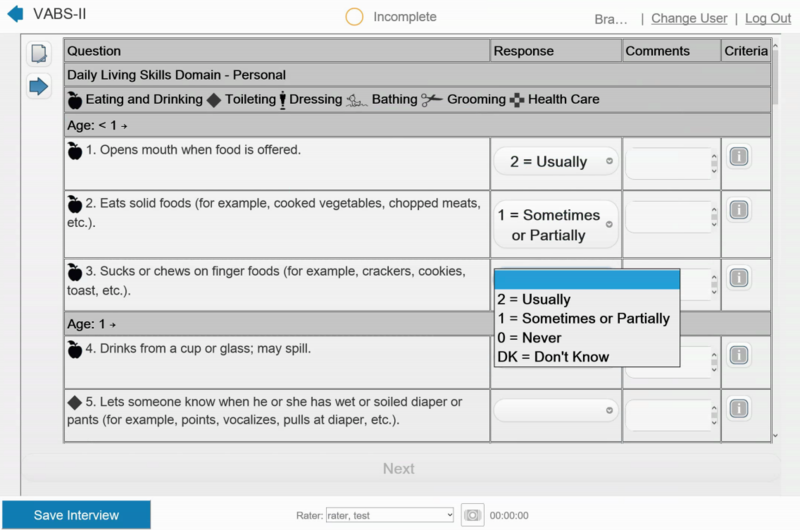 A complicated assessment that can be difficult for clinicians to administer, the VABS measures communication, socialization, daily living and motor skills and maladaptive behavior in individuals from birth to adulthood. Traditionally, the assessment tool has been administered in a semi-structured interview that takes approximately 20 to 60 minutes to complete, via paper-and-pencil, in the form of a questionnaire. 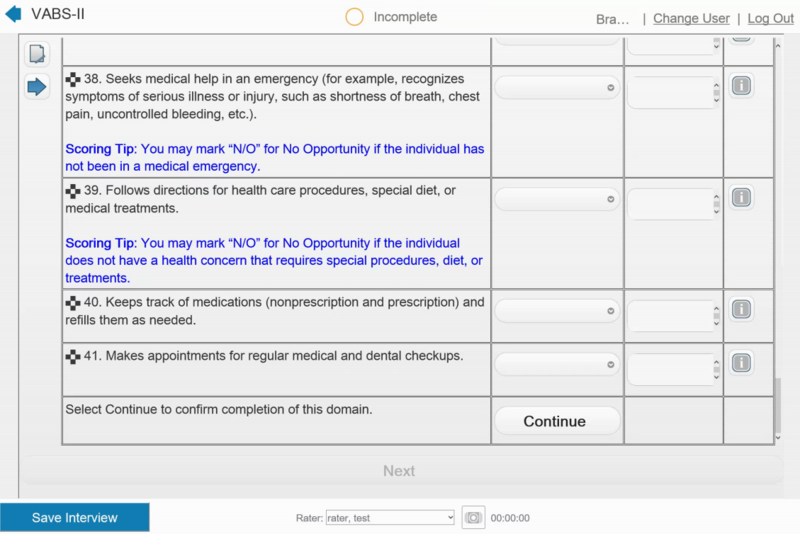 The highly interactive solution will help to make a clinician’s time with a patient more effective and aims to provide clinicians, parents and caregivers with a precise and modernized method for administering the questionnaire. At the forefront of digitization for clinician reports, we continue to lead the charge in paper-free clinical trials and introducing an electronic version of the VABS is our latest effort in today’s mobile revolution. For more information, read the press release or contact us today.